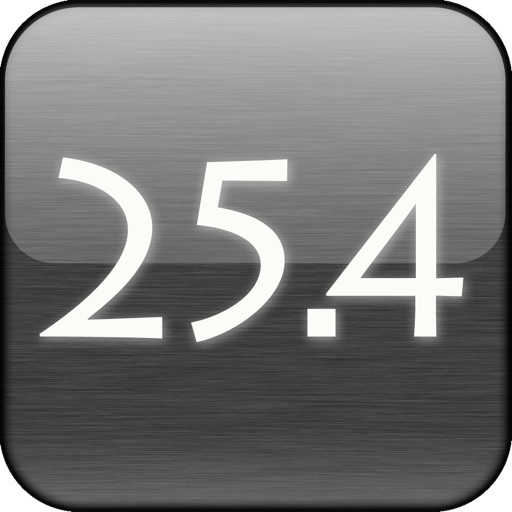 25.4 is a metric to inch / inch to metric calculator for professionals. Built to allow fast switching between inputs, you can now directly add inches to the metric unit of your choice and vice versa. 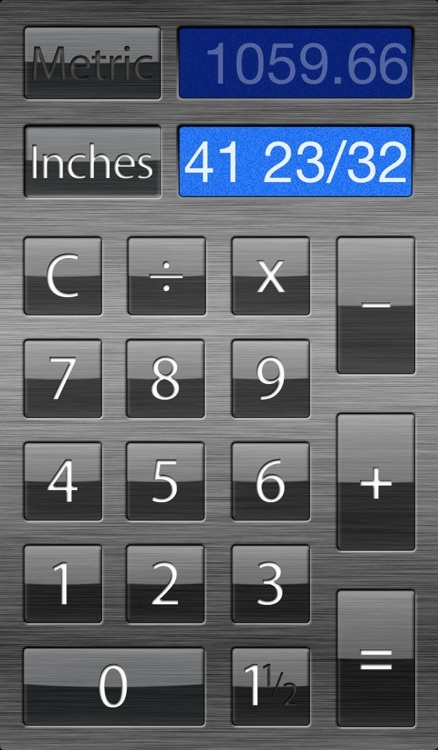 All without needing to convert units manually. Easily switch back and forth between metric and inches. Need a simple conversion. Enter your value in the appropriate unit and it's automatically displayed. No need for additional buttons. 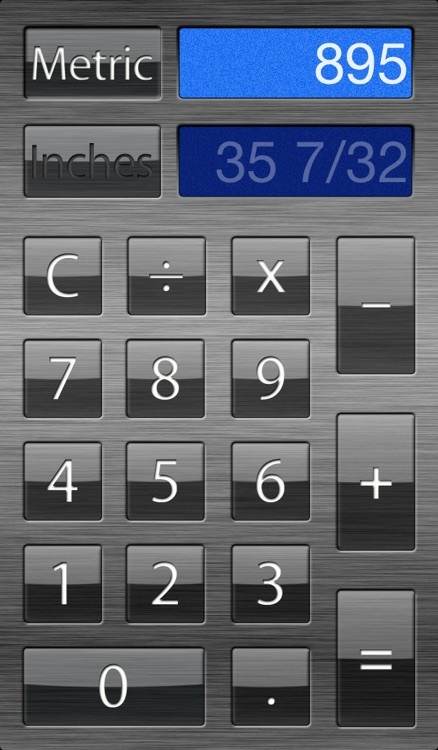 Note: When inputing fractions you will need to press the equals sign. 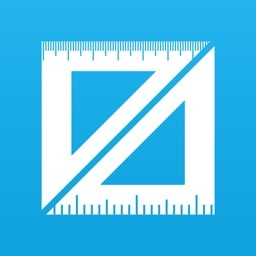 Designed by a cabinetmaker, this app solves the problem of converting and adding many metric and inch measurements together. 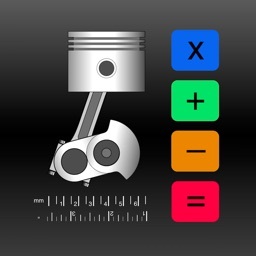 If you are an architect, cabinetmaker, draftsmen, tradesmen, designer or in any way use the imperial and metric systems together, you need this application. 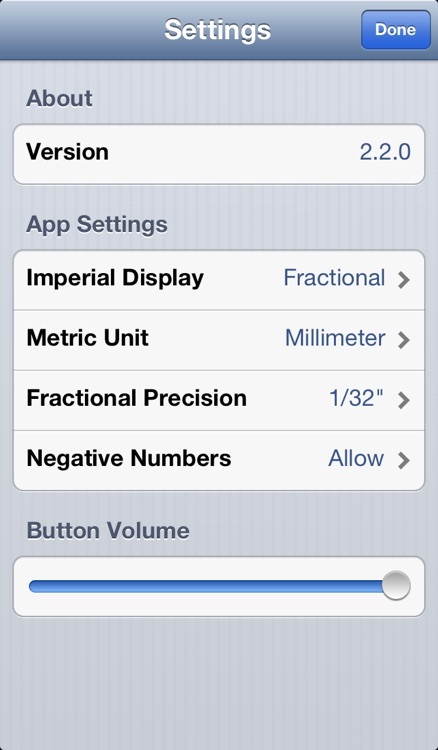 Simply swipe your finger from right to left across the screen to reveal the application Settings. Adjust the parameters to your specification and get right back to work. 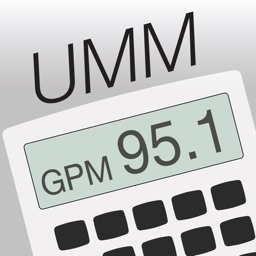 Universal App supports iPhone 4, 4S & 5, iPad, iPad 2 and the new retina display iPad. 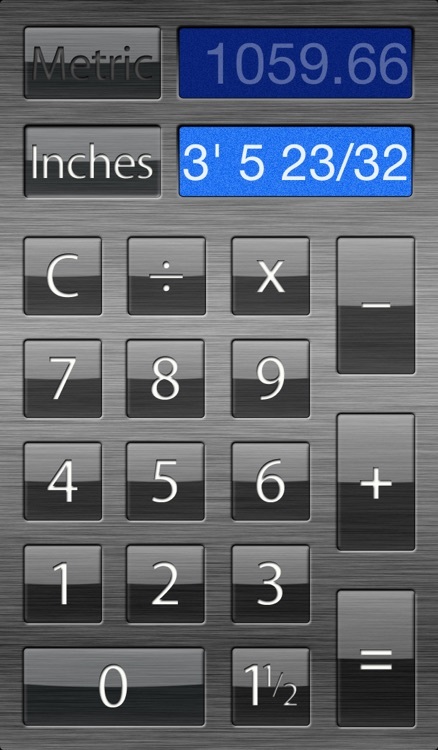 The iPad landscape layout also provides an extremely helpful full printout of all calculations. 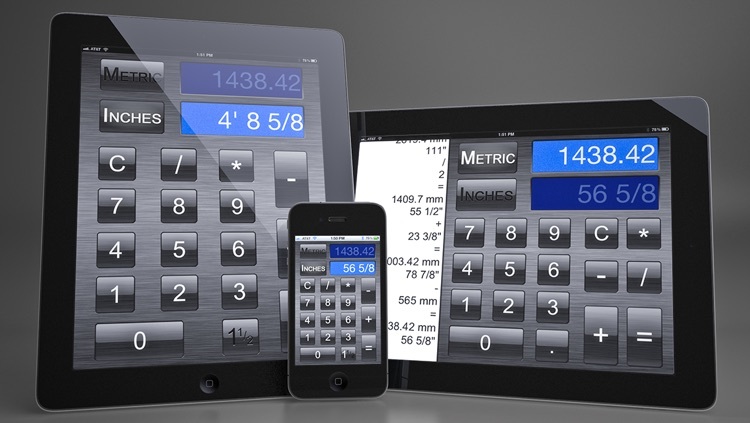 Allowing you to keep track of calculations and any user error. Option to have negative results automatically inverted to a positive. 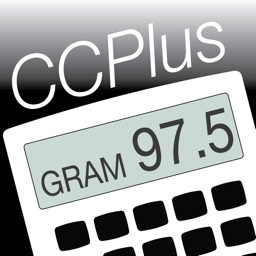 Allows you to then continue operations on the result as a positive number. 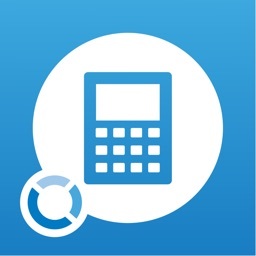 Setting defaults to allow negative numbers. Supports English, French, German and Spanish.